awwww cute bromance!! I’m so jelous you’re off in FOUR DAYS you must be the most excited person on the planet right now!! You’ll need a two pronged plug converter for Europe…. you can get them from the airport so I wouldn’t worry too much and HAVE FUN!!!! Picked up a two pronged plug today, I’m all set wooo hooo!! I’ll make sure to post a ton of HP pics when I get home… or maybe while I’m gone… Hmm. I’m already having withdrawals, ha! I do enjoy Harry Potter although I am clearly not as big a fan as you are! But what is Pottermore?!?!?! 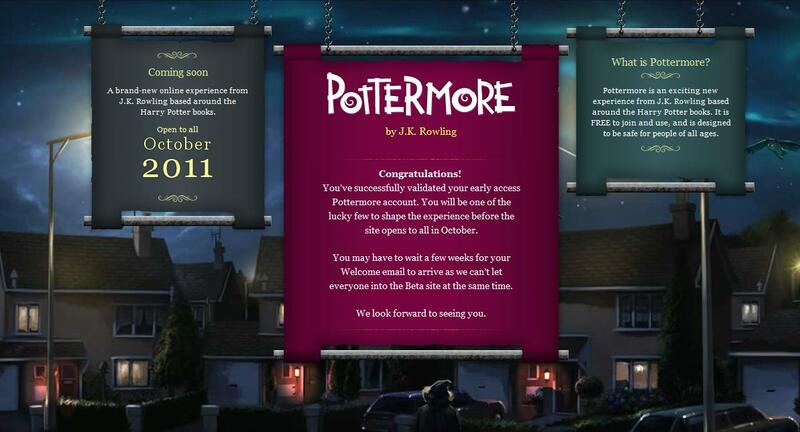 Pottermore is going to be this awesome and huge interactive website that opens up in October for Potter fans, entirely thought up by JK Rowling herself to give back to the HP community. Super exciting stuff! You have grown up with HP, we all have whether we wanted to or not lol! It’s very sad that it’s over, I can’t wait to re-live it when I read the series again. I don’t know if Greek plugs are the same as British ones (probably not) but if they are they’re big and clunky and have three giant prongs. It’s coming up so quickly!! I get a pedicure about once a month and it’s about $25 total. How much was yours? Thank you for the drool-worthy HP photos. I need those daily. HOW WILL I SURVIVE WITHOUT YOU?! Your trip is SO soon. OMG. I need to respond to your e-mail ASAP before you leave. Yay, yay, yay! 25$ doesn’t sound so bad, I may have to look at cheaper places. My friend got me a giftcard for this place and it was 50!! I love this post! I will miss you!!!! love all the harry potterness! so cute. also, YAY GREECE! so excited for you, it’s going to be such a fabulous trip!! Eee! So excited for you lady! And you are so cute with all the HP fandom 🙂 I WILL miss you when you’re gone! Awww I will miss you too… and everyone in the blog world really! I totally don’t feel ready to disconnect for 3 weeks, I’m hoping for some form of internet connection to keep updated while I’m gone, lol!! Just popping in to say I think you’re super cute, thanks for making me laugh. I hope you got to work on time, and have a fabulous time in Greece! Eeeeeee, I’m so excited for your big trip! And yes, I will definitely miss the HP photos 😦 maybe that’s what I should have written as my guest post…!! 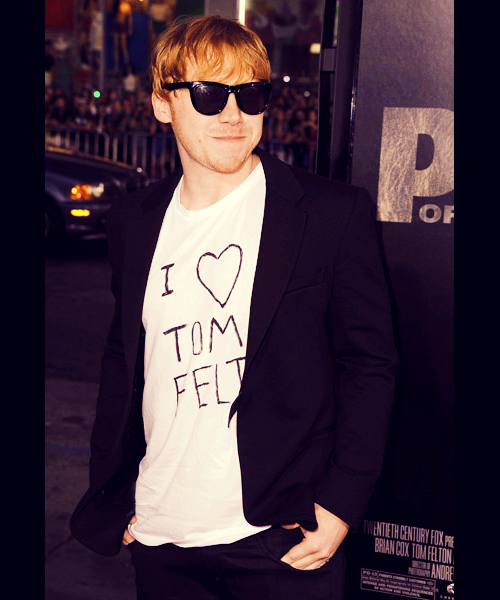 I don’t know what to geek out over more: the I ❤ Tom Felton shirt or the fact that you're leaving…like really freaking soon. And what do you mean how do you pack 3 weeks into a suitcase? 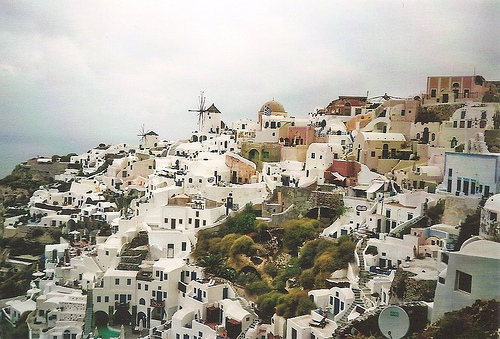 You're going to Greece. All you need is a couple of bikini's and you're good to go. Maybe a pair of flip flops. Have a blasty blast!